Your inner history buff will appreciate Marginal Way Walkway and Freedom Trail. 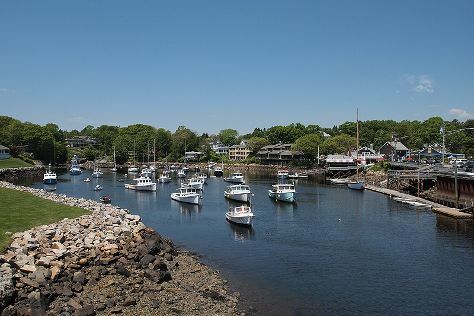 You'll find plenty of places to visit near Boston: Salisbury Beach State Reservation (in Salisbury), Long Sands Beach (in York Beach), Hampton Beach State Park (in Hampton), Ogunquit (Ogunquit Beach & Perkins Cove) and Good Harbor Beach (in Gloucester). There's still lots to do: take a stroll through North End, admire the natural beauty at Boston Public Garden, admire all the interesting features of Fenway Park, and contemplate the long history of Old South Meeting House. For photos, other places to visit, traveler tips, and more tourist information, read our Boston travel planner. The Route module shows you travel options from your home to Boston. In July, daytime highs in Boston are 84°F, while nighttime lows are 68°F. Finish your sightseeing early on the 5th (Wed) so you can travel back home.